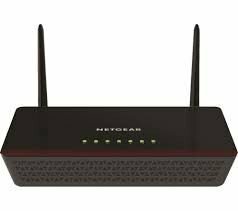 AC750 Wireless Router, 802.11ac Simultaneous Dual-Band. 5 x 10/100/1000 Ports(1x WAN 4x LAN), 1x ADSL2+ port, 2 x USB Ports - FIREWALL - DHCP - NAT. Netgear Genie interface.